The SAP Controlling (CO) module is really big and important! Among many other components, it includes Cost Center Accounting, Profit Center Accounting, Internal Orders, Profitability Analysis and Product Costing. Whoa! 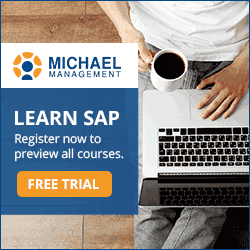 There's lots to learn in SAP's CO module. Take a moment and download our cheat sheet and keep it handy while you are taking your courses. We included the most common CO transactions, features and functions when working with SAP's Controlling module. 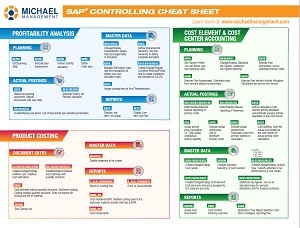 More infographics: More SAP Cheat Sheets for FI, MM, SD.